How much land do I need? Fields for llamas do need to be fenced, but they don’t require anything very elaborate. 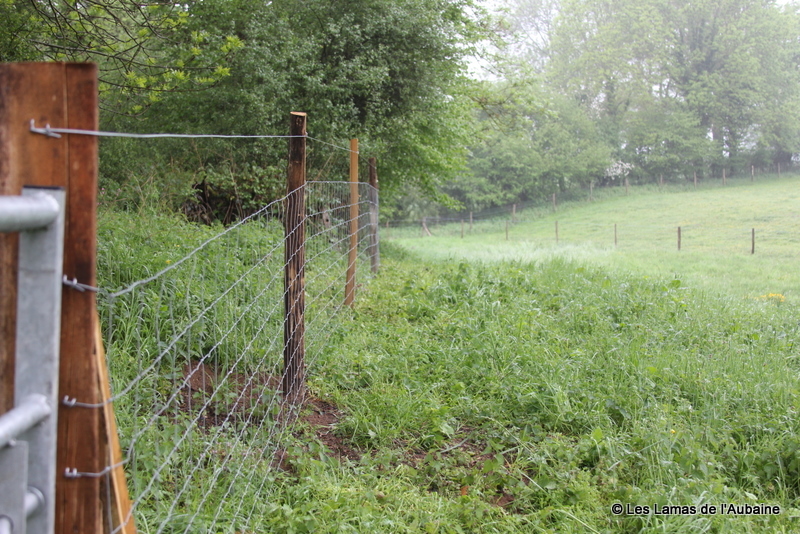 We use acacia posts, spaced about 3.5 metres apart, linked by stock fencing designed for sheep, with one or two strands of wire stretched above that. This gives a total height of around 120cm. where inquisitive and greedy llamas were sticking their necks through the top gap, or over the fence, seeking to eat leaves and plants on the other side. If you have llamas adjoining your veg plot you need something to stop them reaching out for your lettuces! where an entire male has to be deterred from sparring with adjoining males, or getting his metaphorical hands on females in the next field. 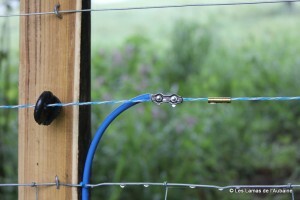 You could use other systems – post and rail looks nice, but costs a fortune; pure electric fencing is cheap and quick to erect, but what happens when the power fails? – but the basic principles are simple. The fence has to be an effective barrier to wandering, but it doesn’t have to be impregnable. A determined llama could easily jump over any fence you’re likely to erect, but generally speaking they won’t! Llamas are inquisitive, but they are also very cautious and seem quite happy to stay in the field that they have explored. We’ve only had two ‘escapes’ in the last four years – one when we had only put up a three strand fence on a new field, and then moved new llamas in, and one when a hunting dog scared a young female llama and she leapt over the fence to get as far away as possible!